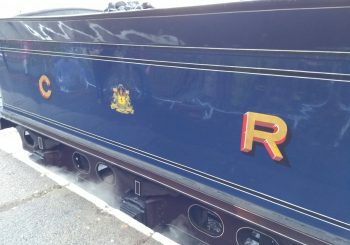 The Gala featured the return of well loved CR No. 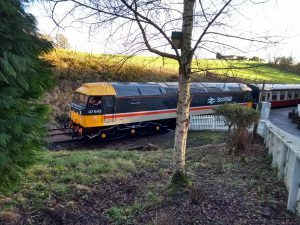 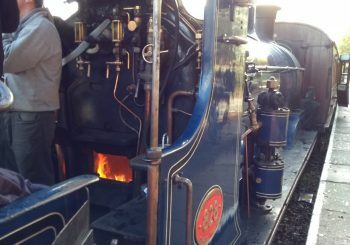 419 and visiting locomotive CR No. 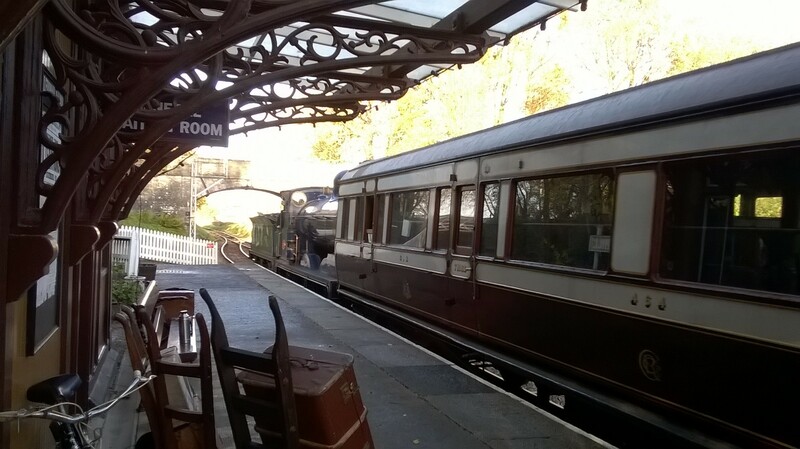 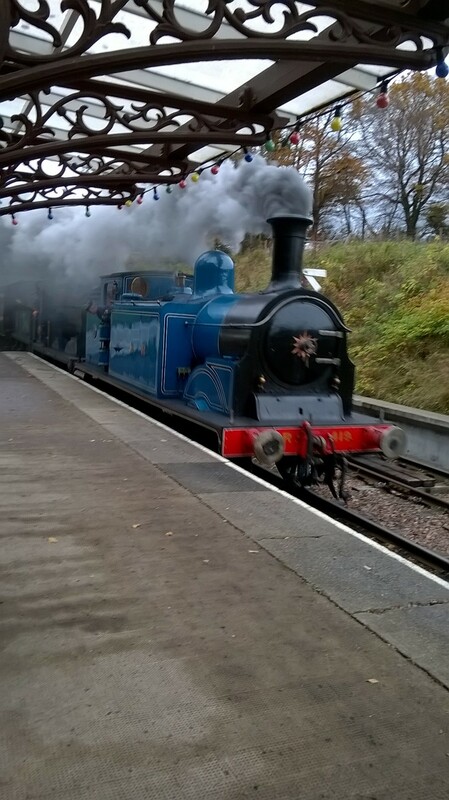 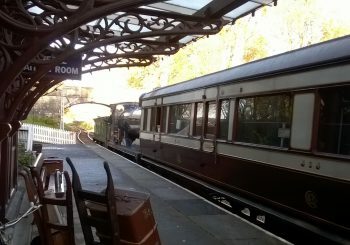 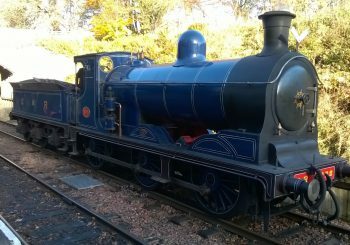 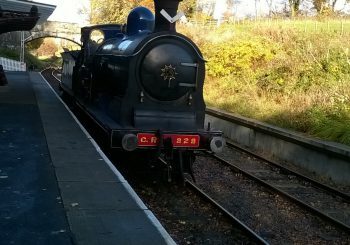 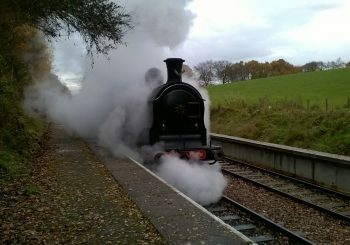 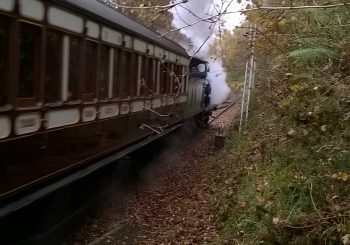 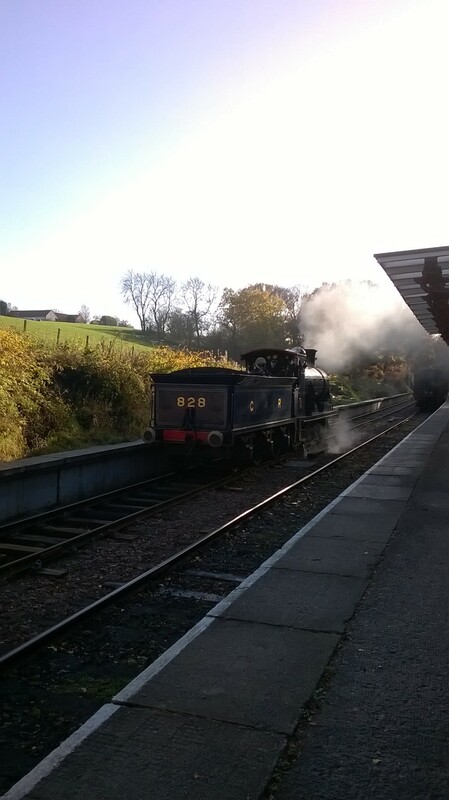 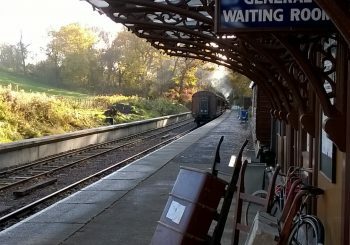 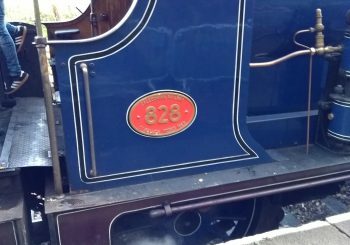 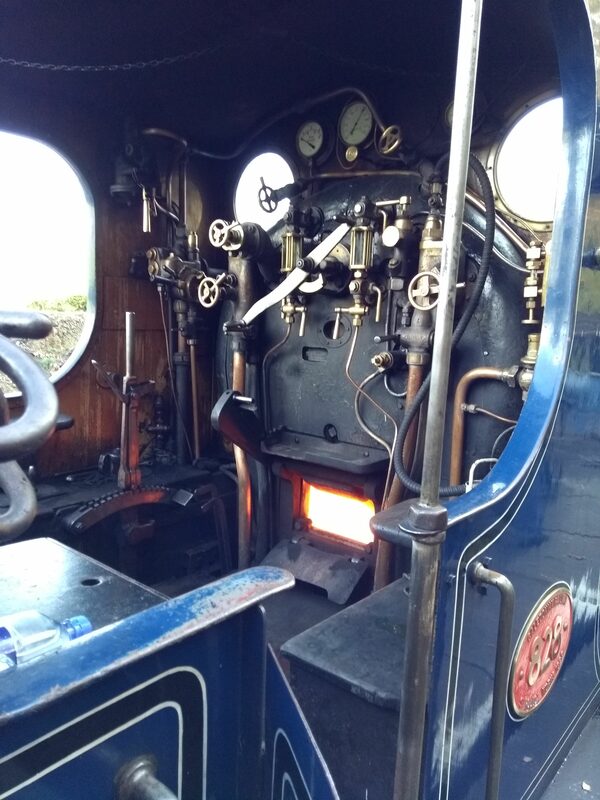 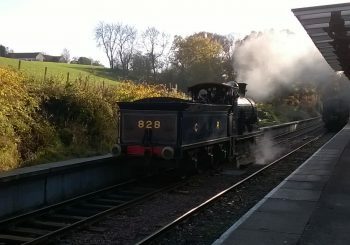 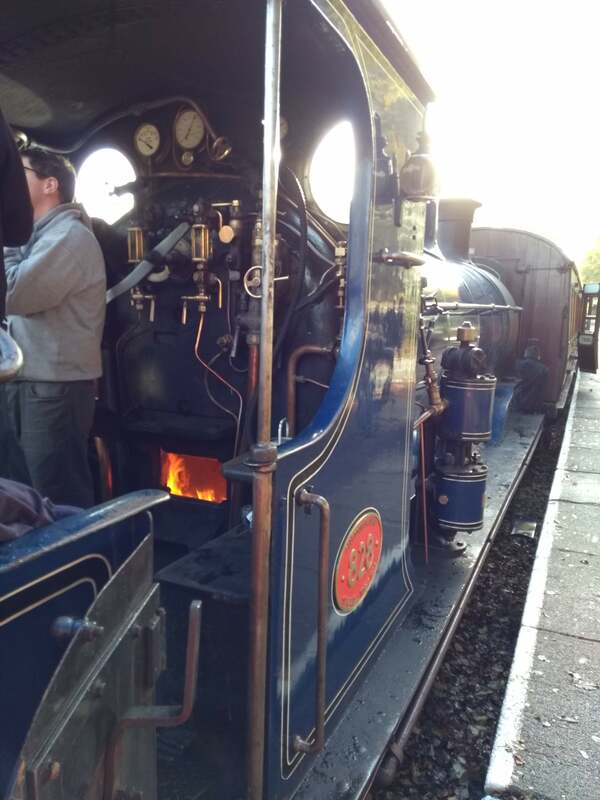 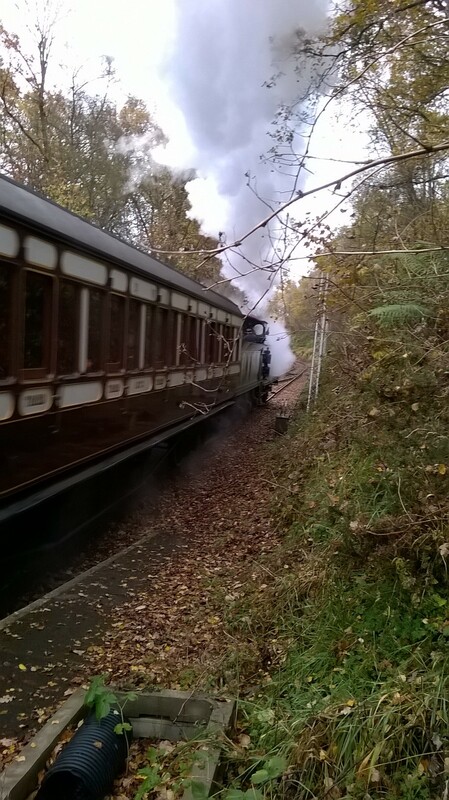 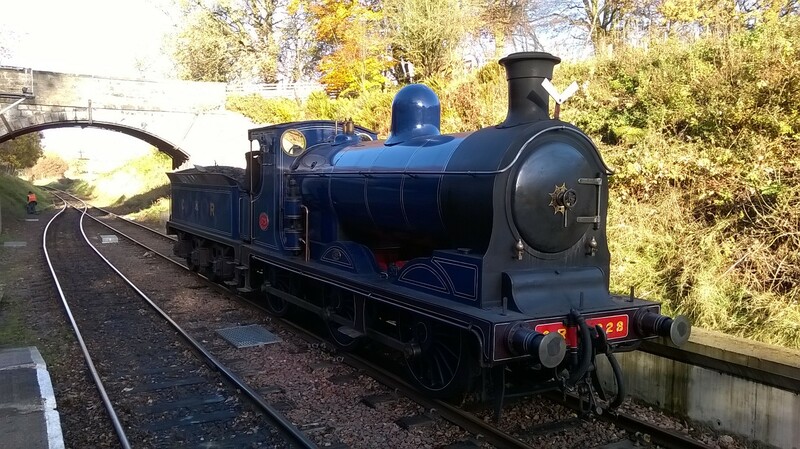 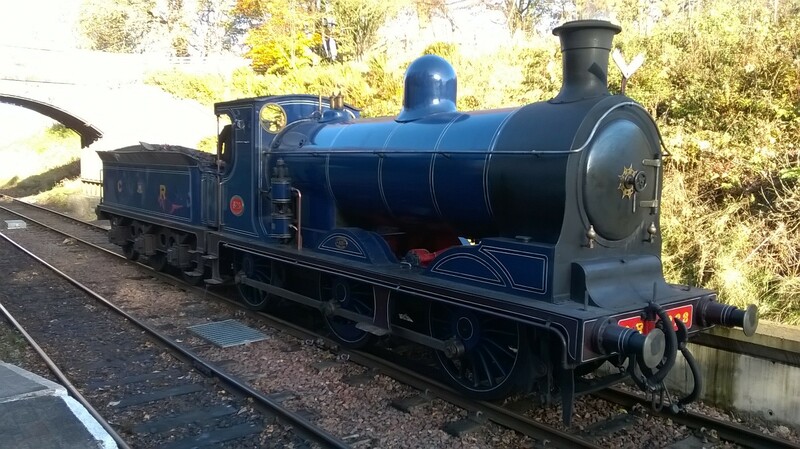 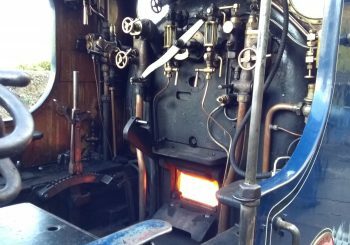 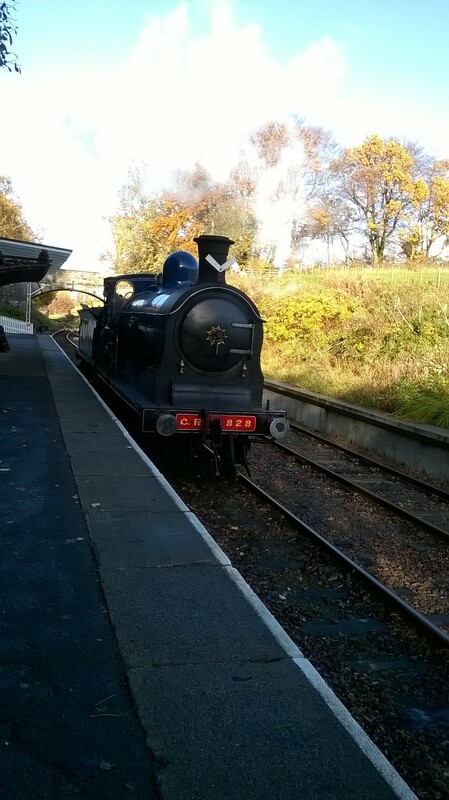 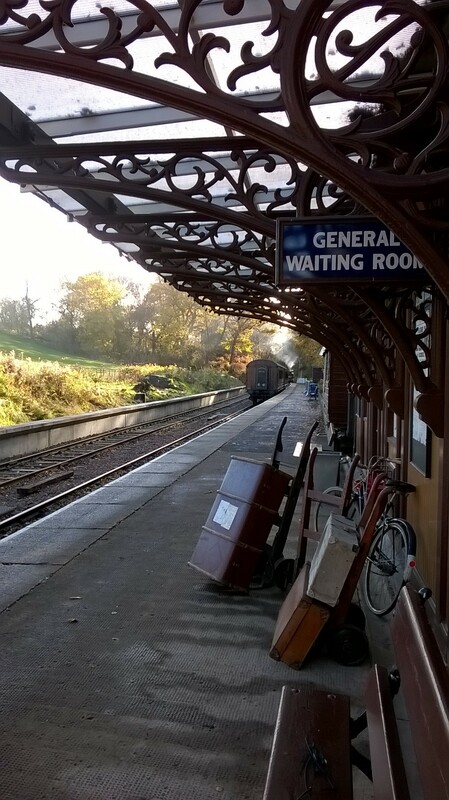 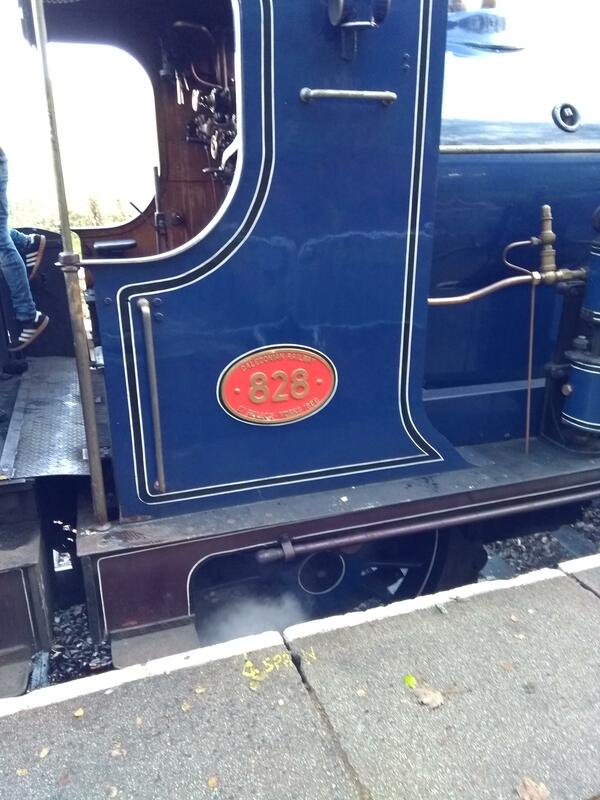 828 from Strathspey Railway. 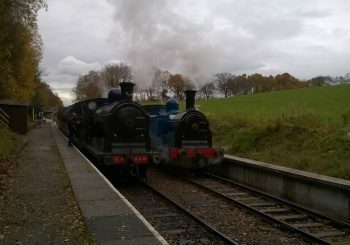 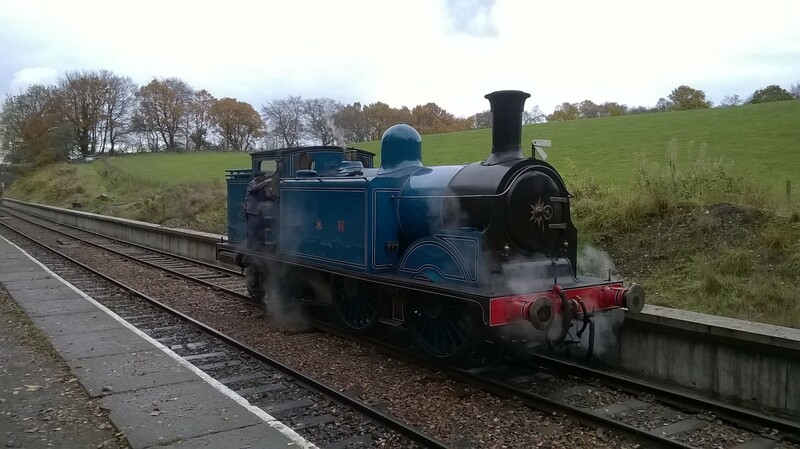 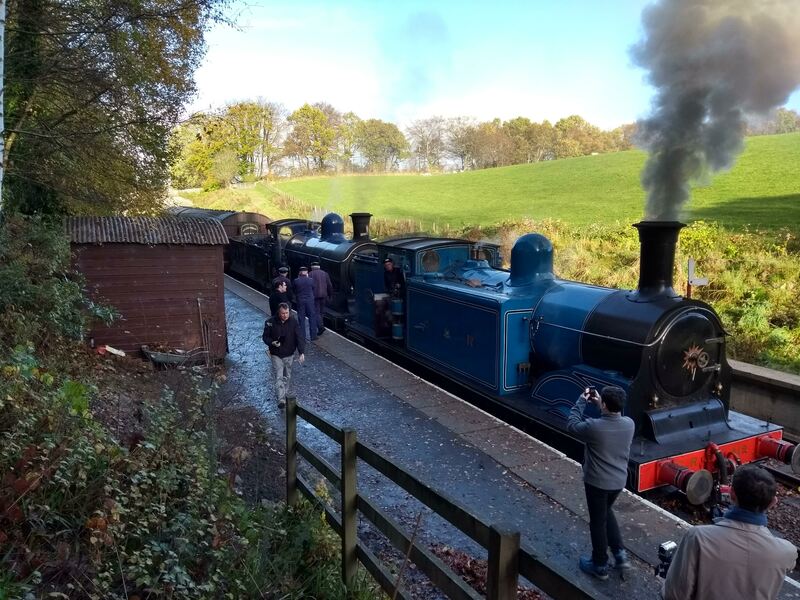 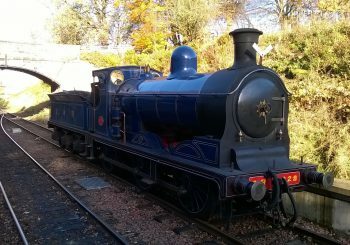 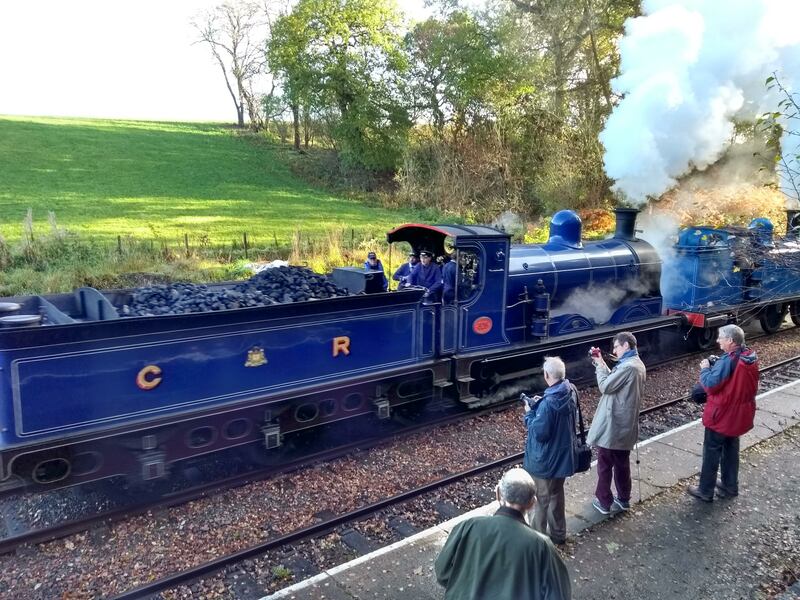 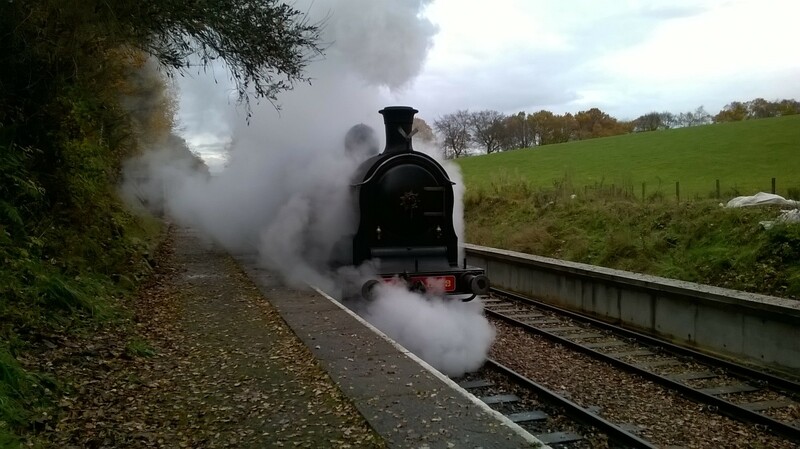 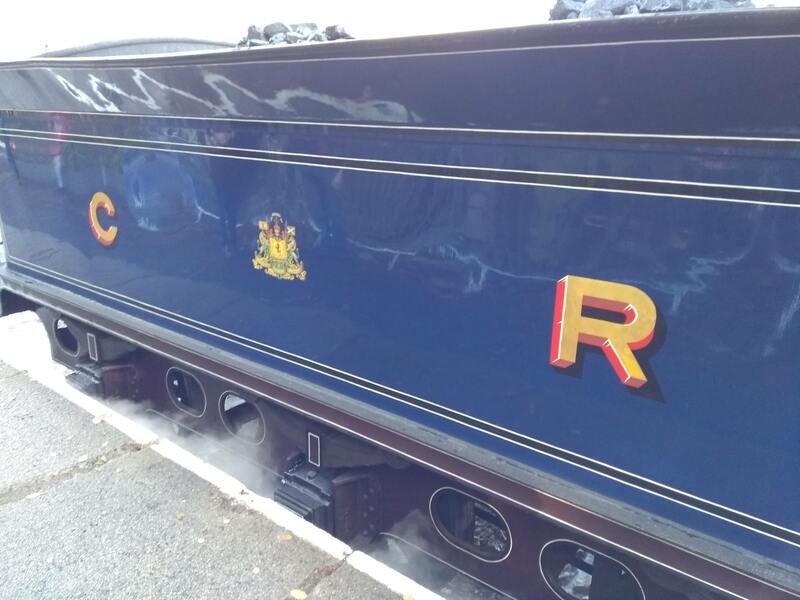 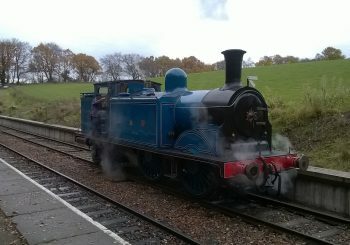 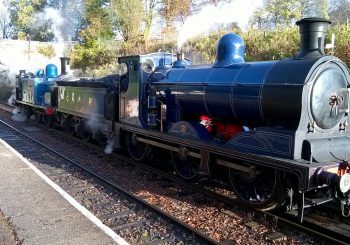 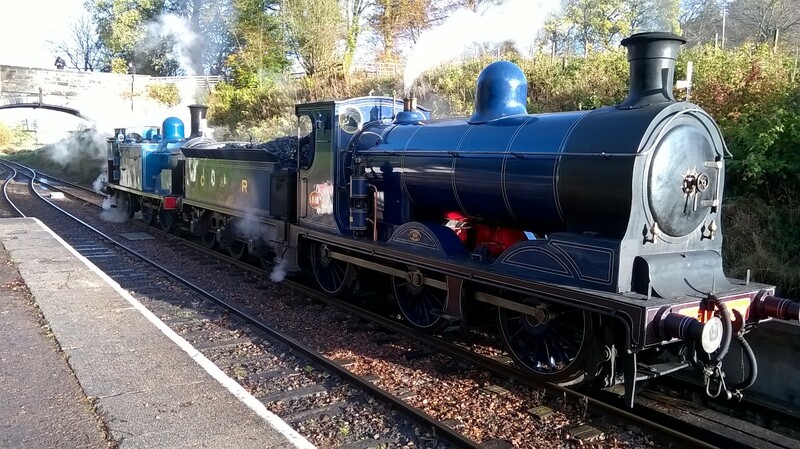 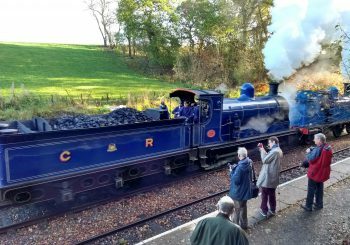 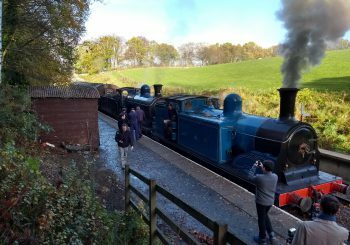 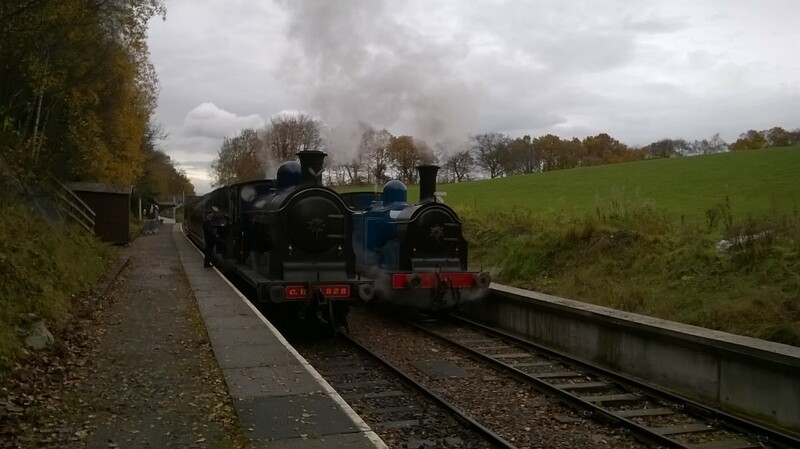 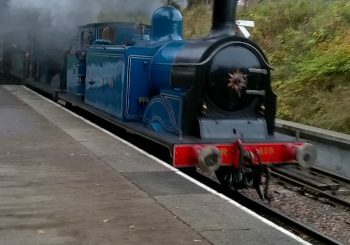 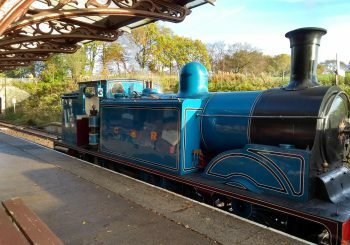 This was the first time in preservation that two Caledonian Railway locos have met. 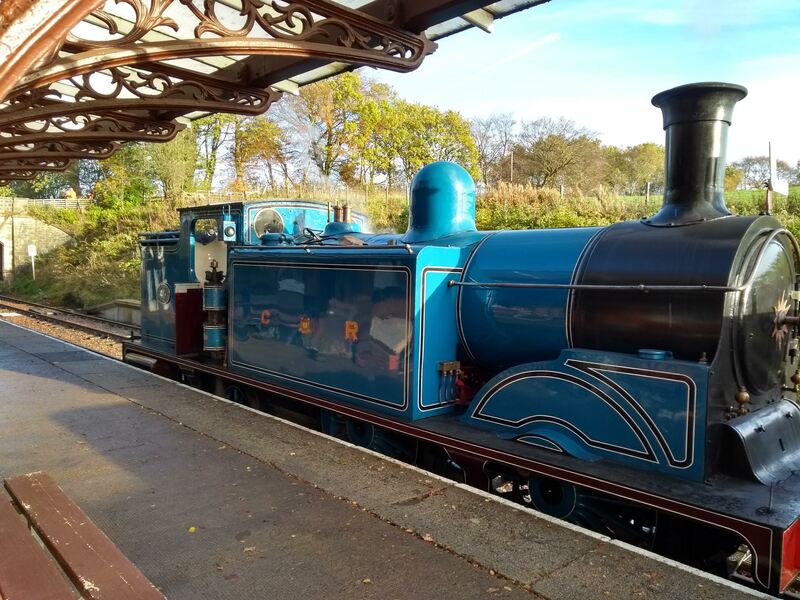 A very special new train has been visiting the B&KR line over the last few days (October 10 – 12th) showing the advances being made in battery power motion. 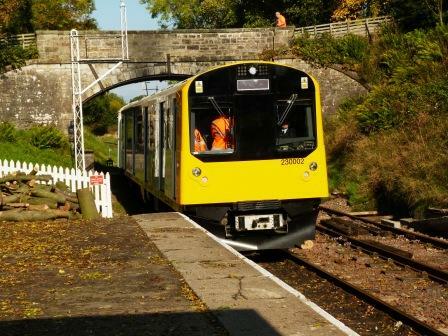 The British Rail Class 230 or D-train built by Vivarail is a diesel electric multiple unit that can run solely on battery power. 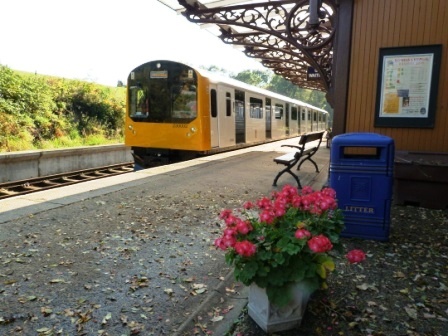 Its green credentials does not stop with its propulsion, the units are converted London Underground D78 stock originally manufactured in the 1980’s by Metro Cammell. Vivarail’s conversion re-uses the D78’s aluminium bodyshells, traction motors and bogies, and pairs them with new propulsion systems and interiors. 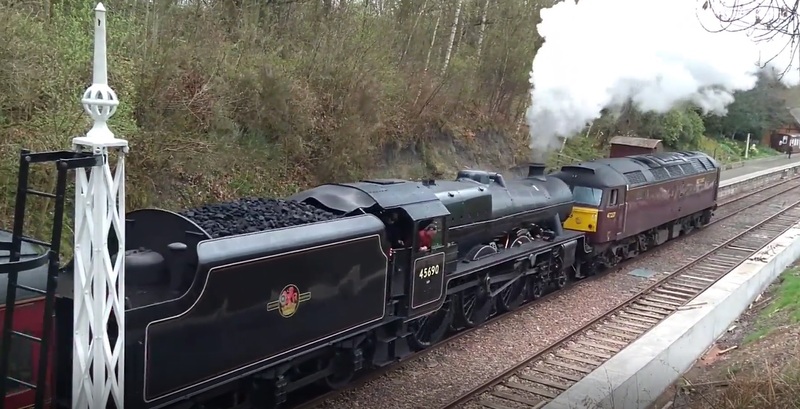 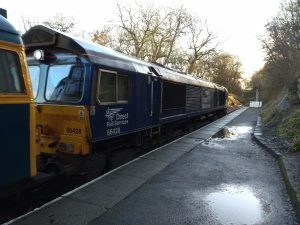 Jubliee Class 45690 ‘Leander’ on the rear of the 10:45am Bo’ness to Manuel train on the 22nd April on its way home after supporting the Forth Circle Railtour steam special the day before.